Resources for Healthy Lifestyle: What can help to cough out phlegm or mucus? What can help to cough out phlegm or mucus? 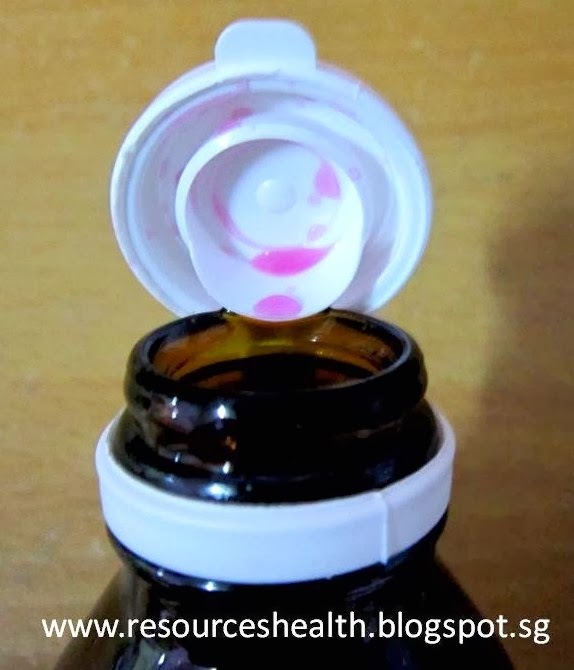 I have been coughing with thick phlegm or mucus but I have difficulty coughing the phlegm out. 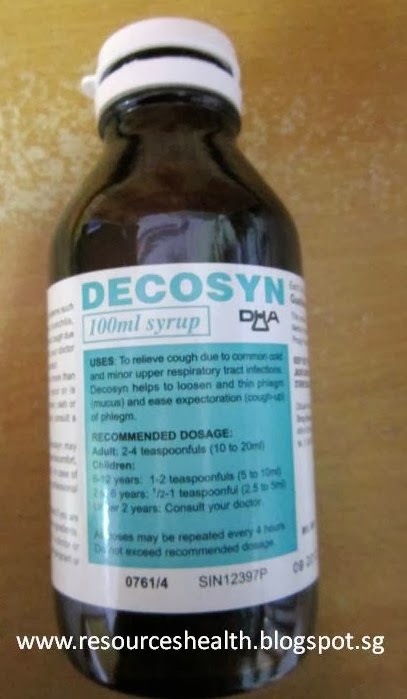 I went to the Pharmacy and the Pharmacist recommended that I try a syrup called "Decosyn". It is stated on the bottle that Decosyn Syrup is used to relieve cough due to cold and minor upper respiratory tract infection. Decosyn helps to loosen and thin phlegm (mucus) and ease expectoration (cough-up) of phlegm. The Decosyn Syrup is pink colour. I was told to take 10ML (2 teaspoonfuls) 4 times a day. 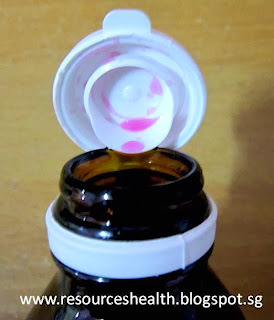 After taking this syrup, I found that my phlegm or mucus loosen and I am able to cough some of them out! So glad to find this medicine that really helps to cough out phlegm during cough.